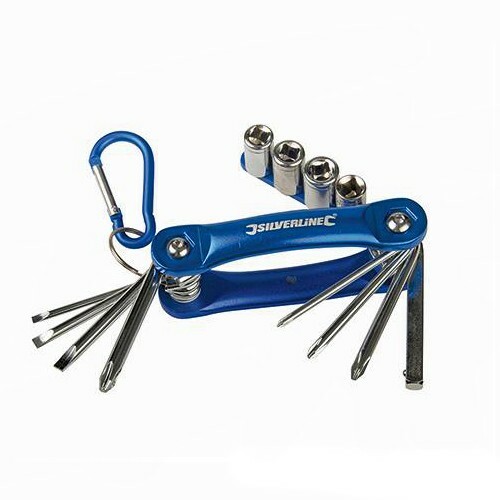 Brand New Socket & Screwdriver Multi-tool Chrome vanadium steel with corrosion-resistant anodised aluminium frame. Includes Phillips 0, 1, 2 and 3, slotted 3, 4 and 5mm, carbon steel sockets: 6, 8, 9 and 10mm, and 1/4" carbon steel adaptor. Complete with keyring and karabiner.